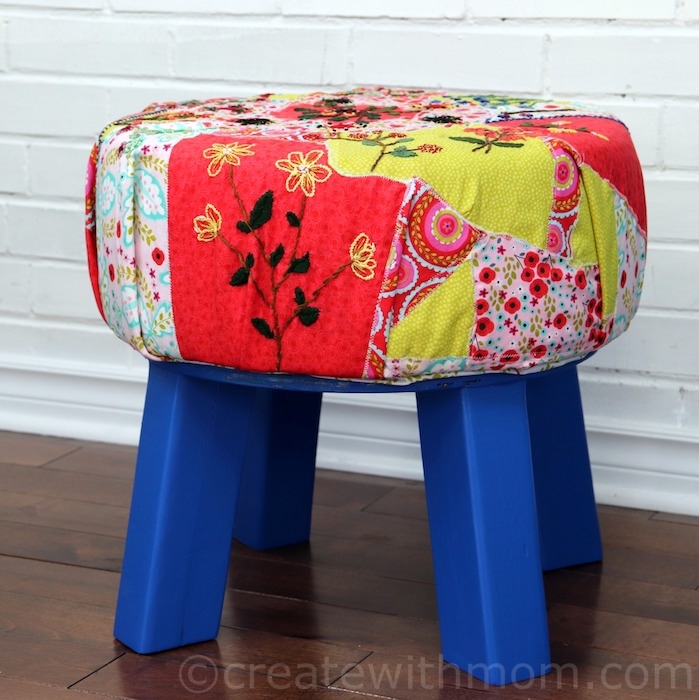 I have been working on a crazy patchwork surface to use it as the cover for a DIY stool we are working on. For this patchwork surface, I used the Crazy Patchwork method that uses random shapes of cloth attached together. 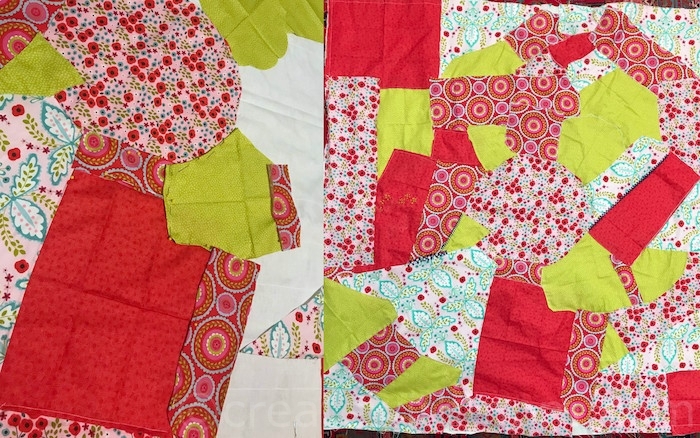 Crazy patchwork is a lot of fun to do, as we do not have to cut each material using a pattern or measurement. 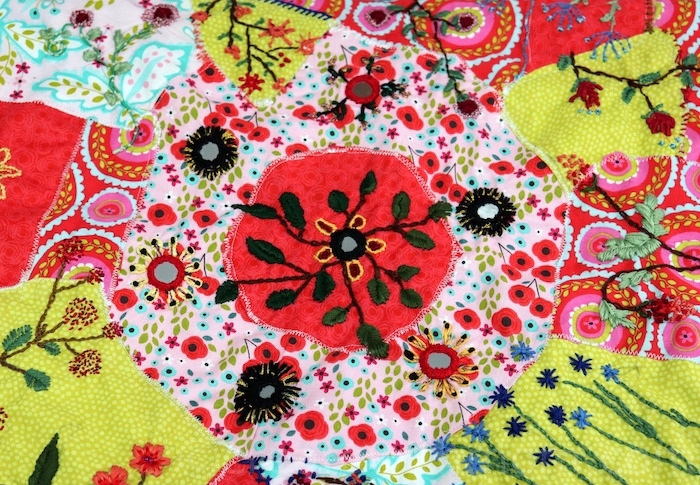 I randomly cut the beautiful coloured FABRIC CREATIONS quilting fat quarter cotton material into different shapes. 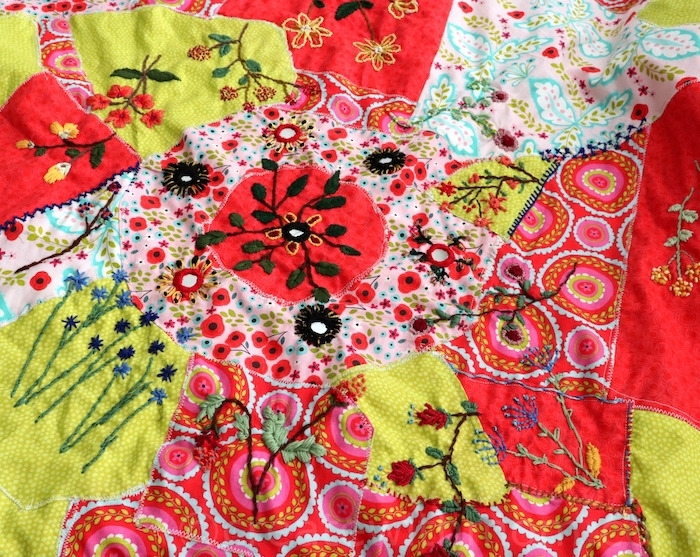 Then I pinned it to tuck in the raw edges and attached it using a sewing machine onto a one piece 36"x36" material. To add detail and embellishment to the project, for each section of the patchwork I hand embroidered different floral patterns. I used a variety of DMC 6 strand cotton floss in a variety of colours. 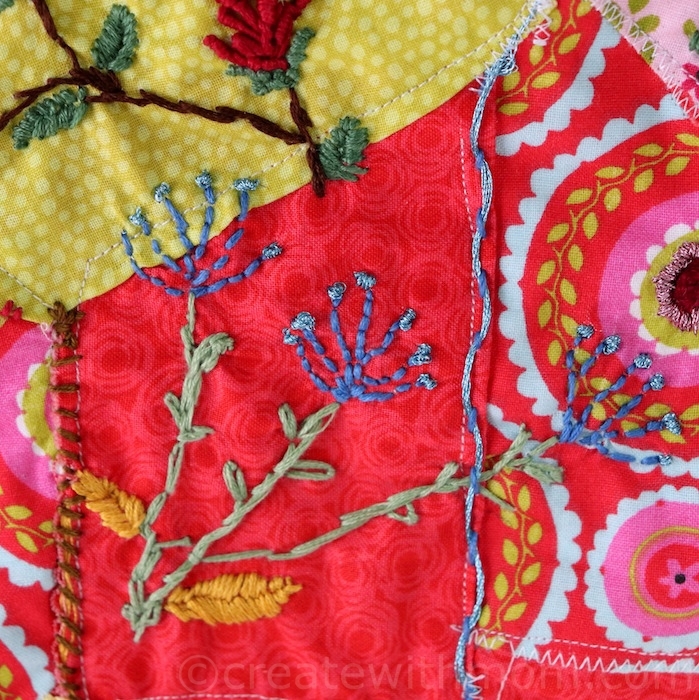 I really like using the DMC Light Effects Threads, which add sparkle and reflective qualities to our needlework. 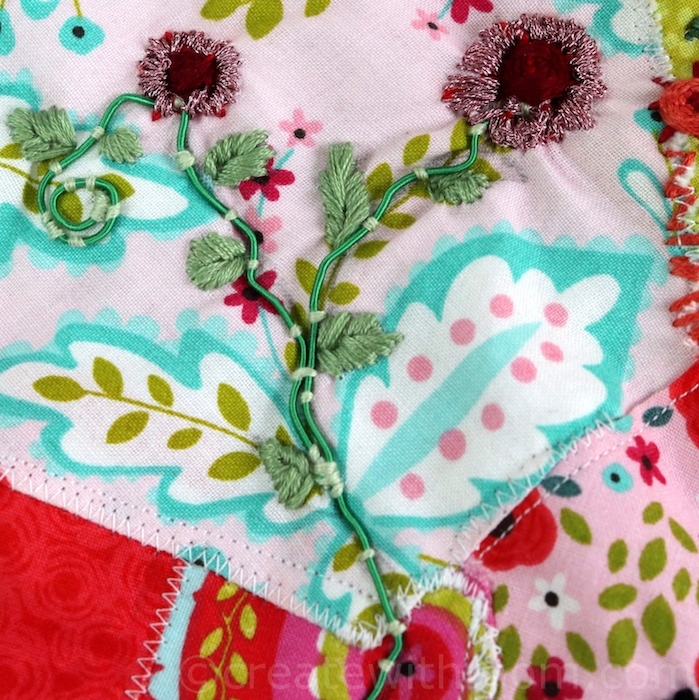 This thread has a different texture from the cotton floss, however it is not hard to slide through the fabric. 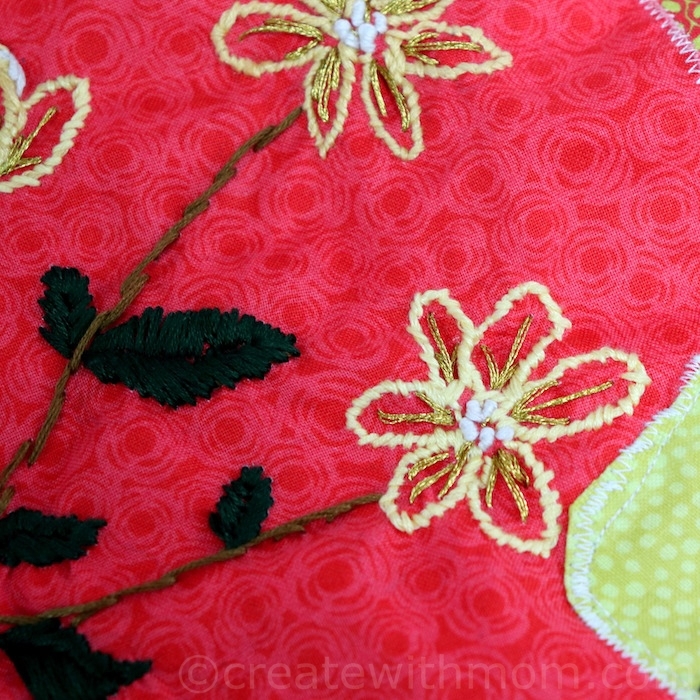 It gives a beautiful highlight to the embroidery design. In a couple of spots, I used the DMC Color Infusions Memory Thread, which is a lovely new product for me. 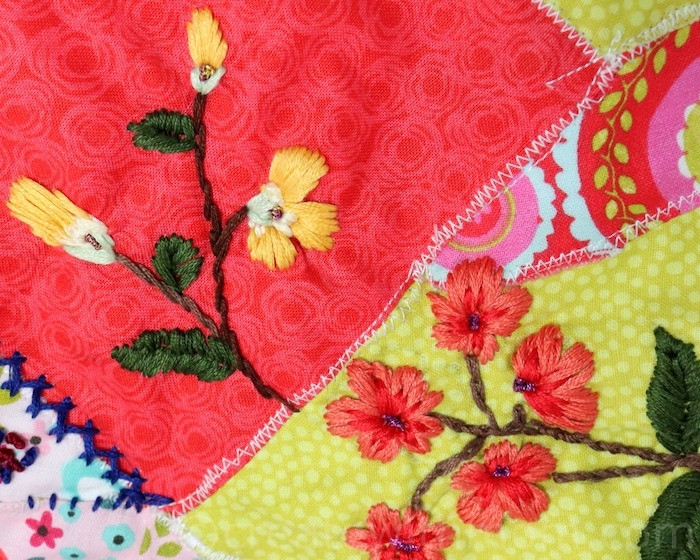 This thread is used to create embellishments, which can be added for paper crafts and needlework to add dimension. There are lots of possibilities on how we can use Memory Thread, for example it can be used to outline designs; create shapes and words; twist into spirals; tie on to cards, and more. 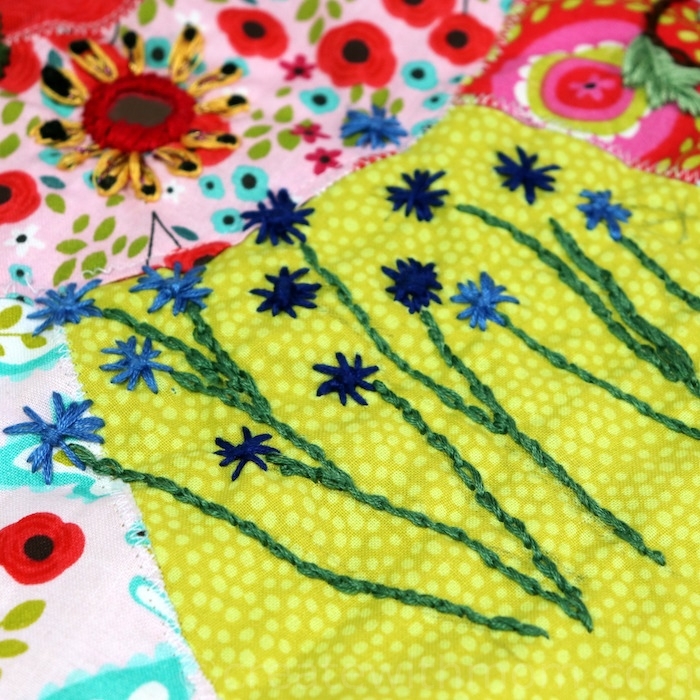 We cannot use this thread to stitch with, so it needs to be couched on the surface of the fabric. This thread is made with a soft fiber wrapped copper wire that is easily shaped by bending, coiling, and curling to form the design we want. It is made with 40% Copper, 34% Viscosa, 23% Cotton, and 3% Polyamid. All DMC Color Infusion Threads are acid free; fade resistant, and colour fast. 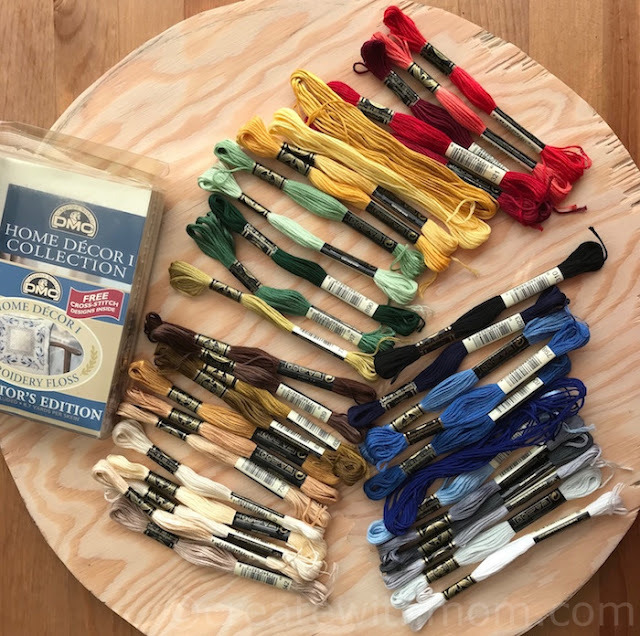 We can purchase all these different types of DMC threads at hobby and craft stores. More about the DIY wooden stool on our upcoming post. 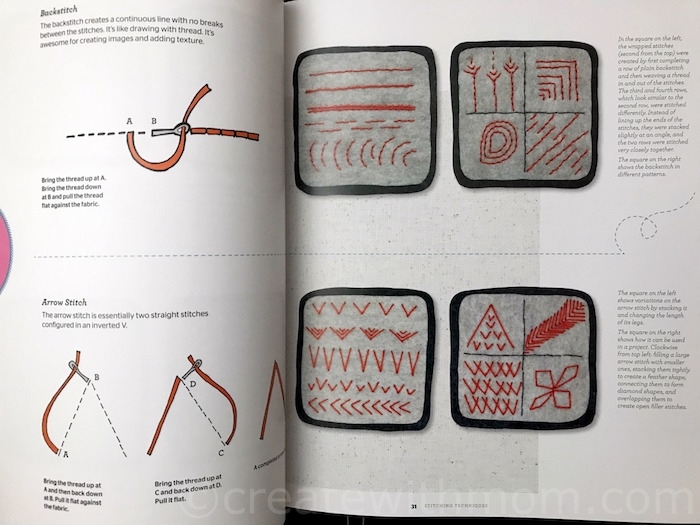 I really enjoy embroidery books such as The Hand-Stitched Surface: Slow stitching and mixed-media techniques for fabric and paper. 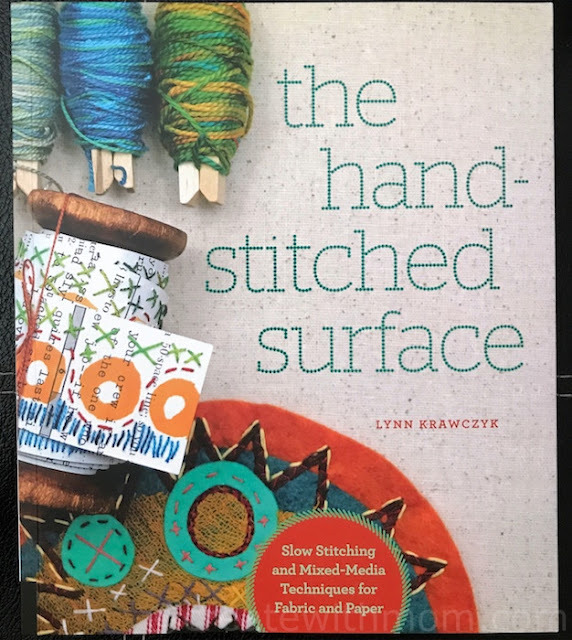 This book by surface designer Lynn Krawczyk has inspiring techniques and projects to make richly layered mixed-media surfaces on paper and fabric. 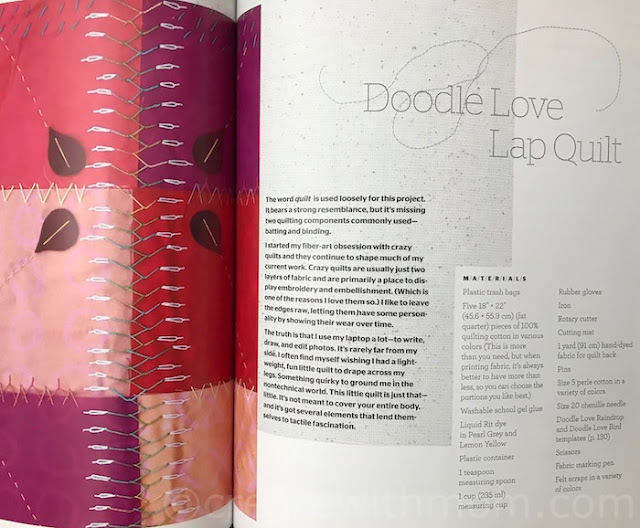 This book will encourage us to slow down and savour our handiwork. 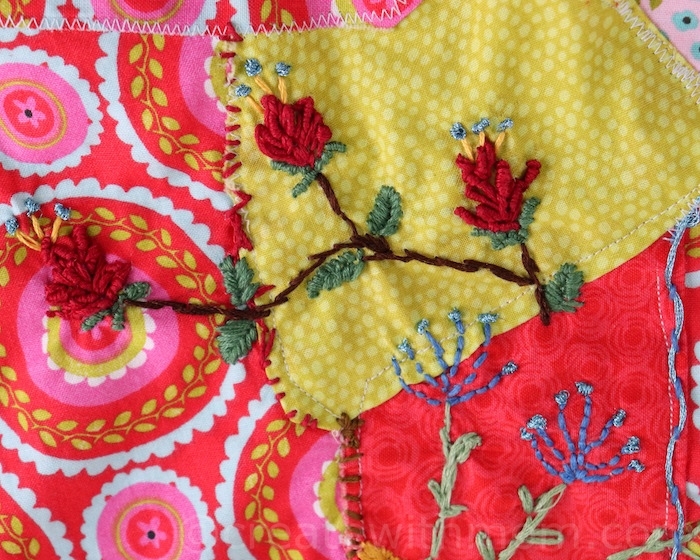 Following an overview of tools and supplies, the section on stitching essentials covers a range of basic stitches and how they can be modified: mixing thread weights for textural effects; unique ways to create patterns for hand stitching; exploring colour; and tips and tricks for improvisational stitching. I like how the author explains how to properly use the threads to get the results we will like. 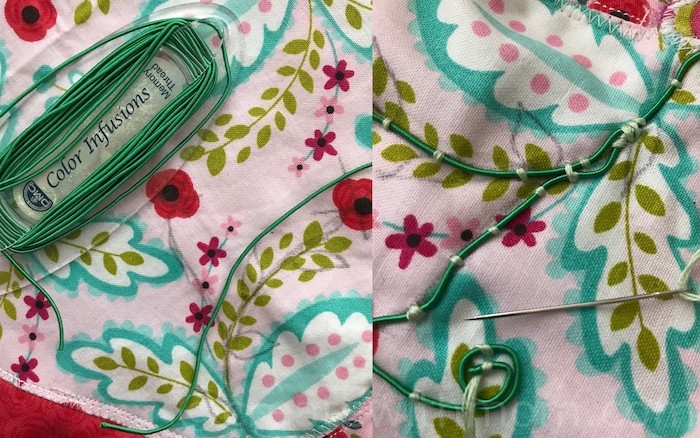 For example when using floss that has six individual strands of lightweight thread separating and threading it together takes the twist out of them and give us fluffier stitches. The fifteen keepsake-quality projects are perfect for those seeking to disconnect from technology and embrace a quiet, meditative approach to handwork and creating art. All rights reserved on photographs and written content Createwithmom © 2010 - 2018. Please Ask First Disclosure: For reviews and/or sponsored posts on this site I may have received special perks as part of my affiliation. Please note that all opinions and thoughts expressed our my own.